BALTIMORE, MD. — 13-time pro bowler, two-time NFL defensive player of the year, middle linebacker, Ray Lewis, made his signature entrance just before kick off against the Indianapolis Colts in the Wild Card round on Sunday, January 6, where Baltimore Ravens fans gave Ray Lewis a hero’s welcome back after he was sidelined in Week 6 with a torn triceps muscle. 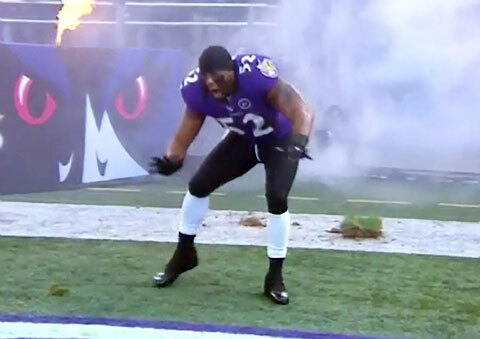 Ray Lewis fires up the Baltimore Ravens fans as he makes his pre game entrance onto the field on January, 6, 2013 against the Indianapolis Colts. Ray Lewis, considered one of the best middle linebackers in NFL history, announced on Wednesday that he will be retiring at the end of this season. The 13 Pro-Bowler will end his 17-year NFL career with one Super Bowl MVP, two Defensive Player of the Year awards and seven times being named First-Team All-Pro. Ray Lewis, a popular motivational speaker at PFP Sports and Celebrity Talent Agency, announced on Wednesday, Jan 2, 2013, that he will retire at the end of the season. Can Aaron Rodgers Pull Off a Win in the Playoffs Against the Minnesota Vikings? Pro Bowl middle linebacker, Ray Lewis, who has been sidelined for the last seven games due to a torn right triceps he suffered against the Cowboys in Week 6, is expected to play against the Denver Broncos in Sunday’s game, according to Raven’s coach, John Harbaugh. 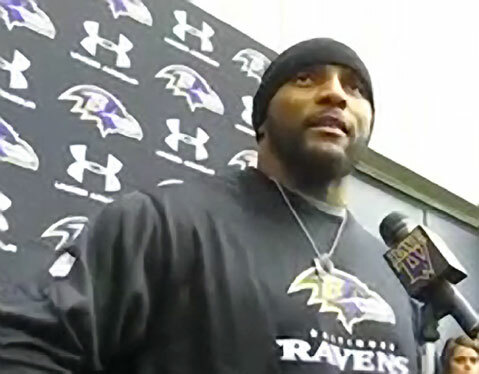 Ray Lewis, a popular motivational speaker at PFP Sports and Celebrity Talent Agency, is hopeful he will be back in action against Denver after suffering a torn triceps which sidelined him for 7 weeks. Former Bear’s coach, Mike Ditka, is as tough as nails and says he is feeling good as he went back to work as football commentator for ESPN three days after suffering a minor stroke. Pro Football Weekly (PFW) has named John Elway the mid-season executive of the year. 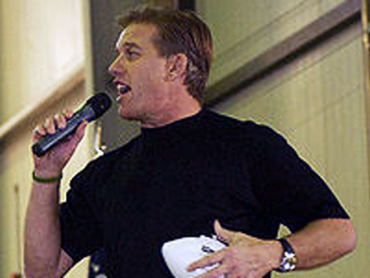 John Elway, Denver Bronco’s Executive Vice-President of Football Operations, six time AFC Champion, two time Super Bowl winner and popular motivational speaker is nationally honored. NFL quarterback, Drew Brees, and Harry Styles of the pop band “One Direction” unite in the latest TV commercial from Pepsi where Drew is offered a spot in the band if he hands over the drink to Harry. 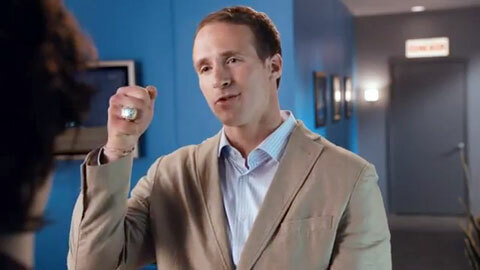 Drew Brees shows off his Super Bowl Ring to pop band "One Direction" in Pepsi commercial.